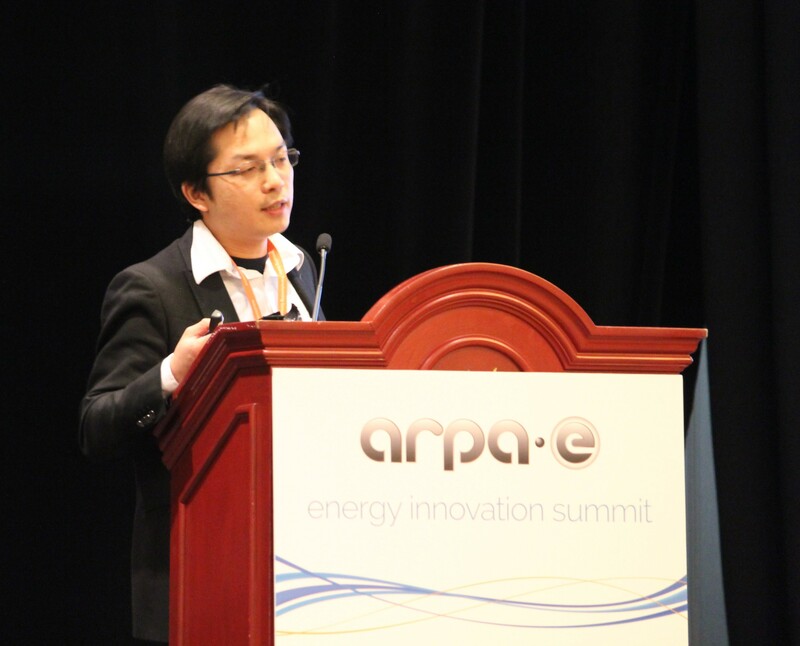 During the Department of Energy’s 2017 ARPA-E Innovation Summit, Shell GameChanger hosted a pitching competition entitled “Energy Ideas to Change the World”. University of Maryland Energy Research Center (UMERC) Professor Liangbing Hu pitched his idea “Wood Window for Energy Efficient Home: Maximum Use of Sunlight and Efficient Thermal Insulation” to a panel of judges that included James Unterreiner from Shell GameChanger, Dr. Hemai Parthasrathy, Scientific Director for Breakout Ventures, and Matt Price, the Managing Director of Activation Energy. This pitching competition saw six finalists compete for the opportunity to present their idea to the conference attendees at large on Wednesday, March 1, the final day of the summit. Previous summit pitching contests were open only to commercial start-up companies, but this year, Shell GameChanger, the sponsoring partner, and ARPA-E opened the competition to include any new technology that was deemed ripe for larger, commercial investment and development. Hu was one of six out of 80 applicants selected to participate. Each contestant had seven minutes to pitch their ideas followed by questions from the judges. Judging was based on: the overall potential impact to the energy sector; the innovation of the technology; and the feasibility of the product (i.e. how easy would it be to mass produce and/or market the idea in the future). Topics ranged from biofuels, to infrastructure to energy storage. Hu pitched his team’s clear wood research demonstrating that transparent wood provides better thermal insulation and lets in nearly as much light as glass, while eliminating glare and providing uniform and consistent indoor lighting. Hu noted that when the transparent wood is installed as a daylight-harvesting roof, the natural aligned wood channels inside help guide the sunlight into the house without relying of the sun’s angle. Transparent wood is also sturdier than traditional wood, and can be used in place of less environmentally friendly materials, such as plastics. “We are currently making it larger and cheaper so that it can be ready for commercialization“ said Hu. Following the pitch competition, Hu received many inquiries on his process, the next steps and potential applications. He noted that he would be following up with potential investors, as he looks for additional funding opportunities.